Who were the first College students at Penn? As can be seen by the list of the members of the College Class of 1757, the first class of the newly incorporated College of Philadelphia, the Class of 1757, originally consisted of twelve students, eight of whom would earn the A.B. degree. It is also possible that the young artist, Benjamin West, a private student of Provost Smith, attended classes with this group. The Class of 1757 was part of a larger student body. During their time at the College of Philadelphia these dozen students were joined by twenty members of the Class of 1759 and thirteen members of the Class of 1760. Furthermore, the College shared its campus and sometimes its faculty, with the Academy of Philadelphia, which by this time enrolled over a hundred students. At this time, the same building provided classroom space for the young men of the College as well as the boys of both the Philadelphia Academy and the Charity School. Classes for the girls’ branch of the Charity School, begun in 1753, were held in a nearby house. Half of the dozen members of Penn’s first class grew up in the city of Philadelphia or in nearby Chester County. The other half of the class was drawn from farther afield. Samuel Magaw grew up in rural Pennsylvania, in what is now Cumberland County. James Latta emigrated from Ireland at an early age, settling near Elkton, Maryland with his parents. Edward Price Wilmer also came from Maryland, and was sponsored by Benjamin Franklin, presumably because he did not have any family in the Philadelphia area. Solomon Southwick hailed from Newport, Rhode Island, and the family of Josiah and William Thomas Martin had settled on Long Island after many years in the West Indies. How many had received their college preparation at the Philadelphia Academy? Seven of the twelve had attended the Academy, some as boarders and others as day students. Most of the students hailing from Philadelphia and nearby Chester County had attended the Academy. Morgan was sent from Philadelphia to attend Nottingham Academy in Chester County. Of the two students from Chester County, Mather attended the Philadelphia Academy while Williamson was educated at rural schools, including Rev. Francis Alison‘s Academy (before Alison became Rector of the Philadelphia Academy in 1752). Of the six students in the Class of 1757 who did not come from the Philadelphia area, half had first attended the Academy as boarders before enrolling in the College. The Martin brothers (previously tutored at home in Long Island by future Provost William Smith) as well as Wilmer (from Maryland) all enrolled in 1753 as students in the Academy of Philadelphia. The early educational arrangements for Latta, Magaw, and Southwick are not known. Were they all from wealthy, influential families? As might be expected, many of the students in the first class were drawn from distinguished, wealthy households. Two were sons of College founders and trustees such as Thomas Hopkinson, judge and member of the Governor’s Council, and William Masters, Sr., founder of Globe Mills and one-time mayor. Jacob Duché‘s father, Colonel Jacob Duché, had also been mayor of Philadelphia. Josiah and William Thomas Martin were the sons of Josiah Martin, a wealthy planter and a member of the royal councils of both Antigua and New York. John Morgan‘s father was Welsh native Evan Morgan, a wealthy Philadelphia merchant. Even though the parents of the other students have not left as clear a record of their wealth and accomplishments, most seem to have been comfortably well-off. The only student recorded to have received a scholarship of any sort is Samuel Magaw, who was then a struggling young scholar seeking assistance to meet his tuition. In 1755, the trustees agreed to establish a series of charity schools aimed to foster education among the German immigrants in the area. The German Society agreed to provide Magaw’s lodging and board if he would take charge of a German school. Although many eighteenth century graduates of the College received degrees at age sixteen, members of the Class of 1757 tended to be older, perhaps because this was the first opportunity they had to attend college. Jacob Duché and Francis Hopkinson, the youngest of the 1757 graduates, were twenty at the time of graduation, while James Latta was twenty-five. Did they have family or social ties? Members of the class, some of whom were connected even before coming to the College, continued to strengthen their family and social ties even after graduation. Josiah and William Thomas Martin were brothers. Both Jacob Duché and John Morgan married daughters of Hon. 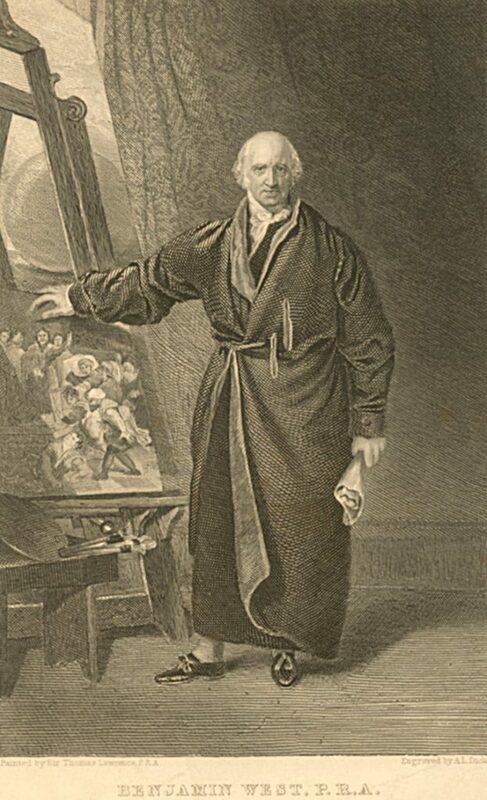 Thomas Hopkinson, the father of Francis Hopkinson. William Masters, Jr. married Sarah Morgan, one of John Morgan‘s sisters. Paul Jackson, Tutor and A.M. 1757, married Jane, sister of Joseph Mather, Class of 1757. These family networks helped the former classmates stay connected even after graduation. In some cases, attending Penn became a family tradition. For example, Samuel Magaw‘s son Sydney earned his Penn degree in 1784. Joseph Hopkinson, son of Francis, not only received his A.B. 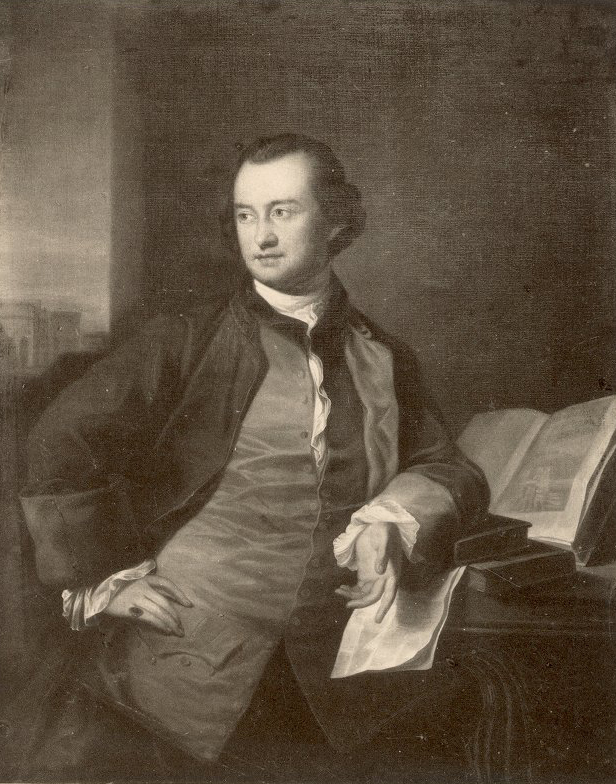 from Penn in 1786, he also followed in his father’s footsteps to become a Penn trustee. Some of the members of the first class continued their involvement in College activities even after their graduation. Francis Hopkinson participated in many graduation ceremonies, playing several pieces of his own composition at the 1760 commencement, at which he was awarded the Master’s Degree. He also wrote the words and music of the ode performed at the 1761 commencement. For the graduating ceremonies of 1762, he collaborated with Jacob Duché in writing “An Exercise, Containing a Dialogue and Ode on the Accession of his present gracious Majesty, George III,” for which he composed special music. Duché was elected a Trustee of the College in 1761, as was Hopkinson in 1778. 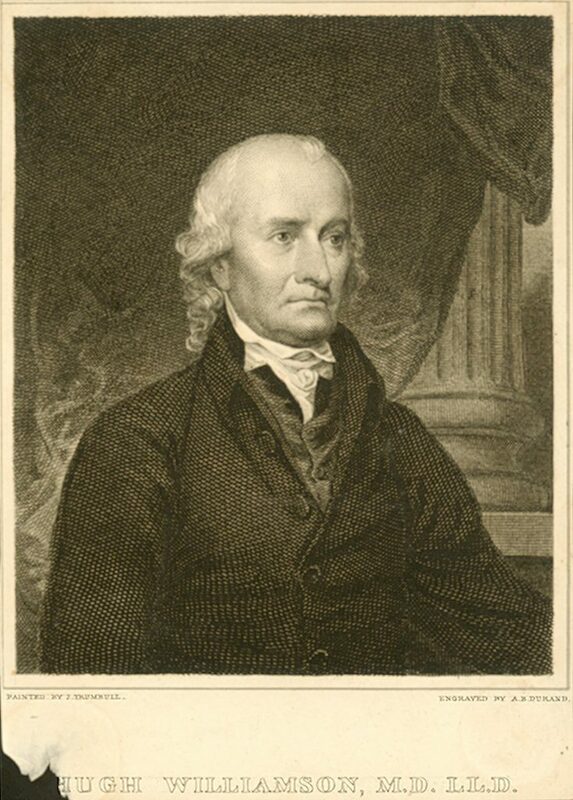 Hopkinson also served as Treasurer of the Board of Trustees in 1779. What careers did they pursue? The members of the first class pursued very different careers. Only Edward Price Wilmer’s occupation remains a mystery. Both of the Martin brothers died before completing their educations, but the careers of the other nine members of the class have been recorded. Five members of the class taught at Penn for at least part of their professional lives. James Latta and Hugh Williamson worked as tutors immediately before and after graduation. Williamson, along with Jacob Duché, Samuel Magaw and John Morgan, later became a professor in the College. Morgan was also founder of Penn’s medical school in 1765, and Magaw also served as Vice Provost. All of these men, except for Dr. Morgan, became ordained as Anglican or Presbyterian clergymen. Latta was the only one who did not remain at Penn, instead becoming a missionary in rural areas of Virginia, the Carolinas and Pennsylvania. Francis Hopkinson became a noted lawyer and judge in Philadelphia. The first class also included Joseph Mather, who served as an Anglican missionary to rural Delaware and Maryland; William Masters, Jr., a distiller; and Solomon Southwick, printer and editor of the Newport Mercury in Rhode Island. Were they Patriots or Tories during the American Revolution? The great majority of the Class of 1757 supported the Revolution. Francis Hopkinson signed the Declaration of Independence. James Latta served in the military as a chaplain and John Morgan served as director-general of the Continental Army’s hospital. 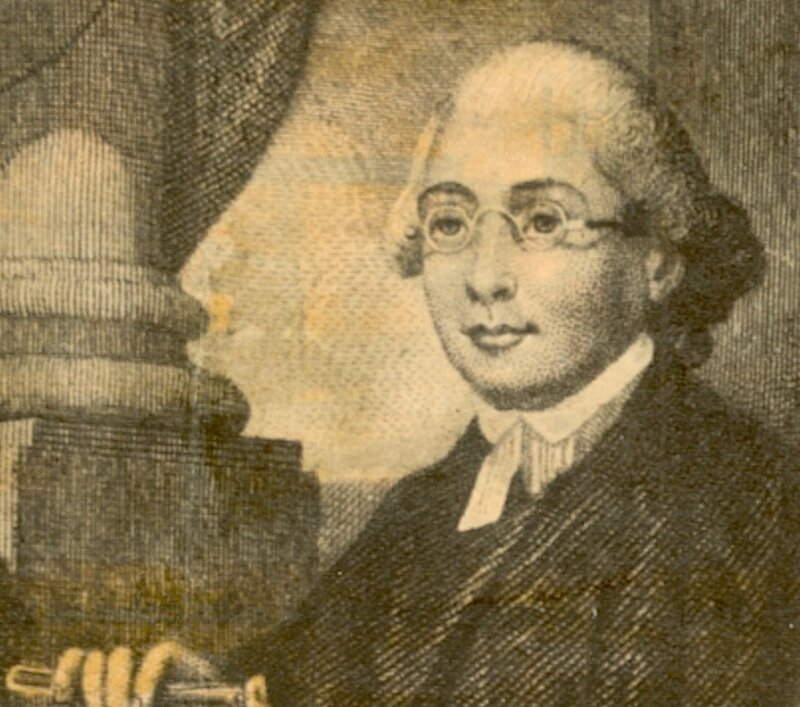 Jacob Duché was chaplain to the Continental Congress until 1776, but was later denounced as a Tory and forced to flee to England after having his property confiscated.